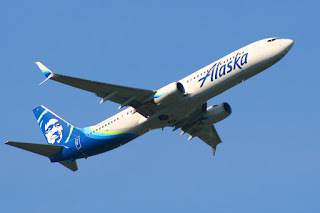 Seattle-headquartered Alaska Airlines has announced plans to upgrade its in-flight Wi-Fi across its entire Boeing and Airbus fleet to provide passengers with more bandwidth and gate-to-gate connectivity. Starting in the first half of 2018, the carrier will be installing next-generation Gogo 2Ku satellite Wi-Fi in its Boeing (NYSE:BA) 737 aircraft, with between 40 and 50 planes to be outfitted by the end of the year. The remainder of Alaska and Virgin America's mainline fleet will be fully satellite Wi-Fi equipped by early 2020. 2Ku satellite Wi-Fi offers 20 times more bandwidth that the current air-to-ground (ATG) system, significantly faster connection speeds, and the freedom of having Wi-Fi virtually everywhere Alaska's Boeing and Airbus mainline jets fly, including allowing guests to stay connected when traveling outside the continental U.S. to popular destinations like Hawaii, Mexico, and Costa Rica, where connectivity was previously unavailable. Unlike the current system, guests will be able to stream content from services like Netflix, Hulu, and HBO GO while in the air. They will also be able to chat and browse from gate to gate while the current system requires attaining an altitude of 10,000 feet before they are able to connect. The advanced technology will allow passengers to use their devices in flight just as they would on the ground, the airline noted. Although Alaska has not announced the pricing for the new satellite Wi-Fi service, the carrier said passengers can expect that prices will be lower than they are today for ATG service, with pricing options including hourly and daily rates. w use iMessage, WhatsApp, and Facebook Messenger on their smartphones without cost. The airline says that, since the introduction of Free Chat to Alaska earlier this year, more than one million guests have used it to stay connected while in the air. While I attempted to use it on my last Alaska flight, I was less than successful. Read about my experience with Alaska Beyond here. In a perfect world, the upgrades will solve the issues I encountered. Alaska has also made all entertainment on Virgin America's RED in-flight entertainment system complimentary, including new releases, classics and independent films, as well as all TV. Free entertainment became a permanent feature on Alaska in March. Regional jets operated by Horizon Air and SkyWest, which serve shorter flights, will continue to offer Gogo's ATG internet service, Free Chat, and free movies and TV.